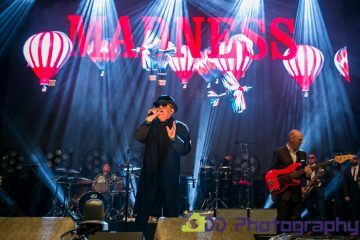 It’s amazing what a group of Madness fans can do if they team up and work together, and last week the members of Madchat did just that at Camden’s Dublin Castle pub. Much merriment and drinking was had and a massive chunk of cash was successfully raised for charity. Check out this week’s Sign of the Times section for further details and a fantastic slideshow detailing just what went on. Moving on to our feature, and this week we have an exclusive from former Dance Brigade member Keith Finch. We’re sure you’ll find it of interest. And finally, before we let you get on with this week’s issue, it was announced this week that the legendary Lightning Seeds are to support Madness at the Franklin’s Gardens gig in Northampton on Friday 28th June. Very nice! 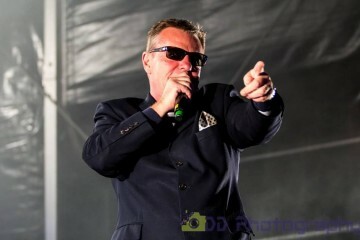 We began this issue with the news that Suggs had been speaking to Bang Showbizz, telling them that he’d been working on songs for the next Madness album. 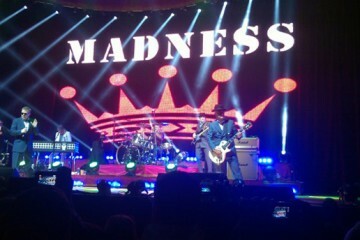 In the interview Suggs commented that fans could expect the album to come out near the end of 2014 and Madness would definitely be touring the record in December. Additionally, Woody recently told the MIS that his song writing for submission to the album had already taken place at the start of the year and that he’d now moved over to working on the next Magic Brothers album. Over in our regular Live Intensified section we featured a massive review of a recent Magic Brothers gig courtesy of the one and only Daren West. 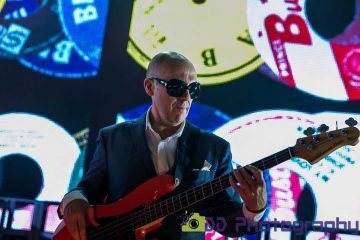 This time Darren reported on the band’s second of a five night Magic Brother’s residency at The Dublin Castle. We brought this issue to a close with the news that over on the official Madstore, there were a load of T-shirts currently selling for 2 for £20. With only a few days to go until the Australian Tour kicks-off, we thought that it was time to introduce one Graham Bush to all of those who were geared-up and ready to attend one or more of the appearances down under. “Who?”, we heard you ask. 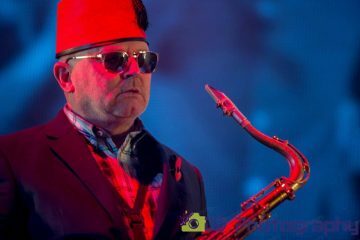 Well, Graham was the latest in a long line of extended band members, and would be replacing Mark, who sadly, wouldn’t be on the tour. Graham was a more than capable stand-in for Mark, and by our reckoning needed a nickname. “Bushers”, perhaps? News had also reached us indicating that Lee Thompson had been reported as possibly being a late arrival due to passport problems, but we were assured that he would make it. 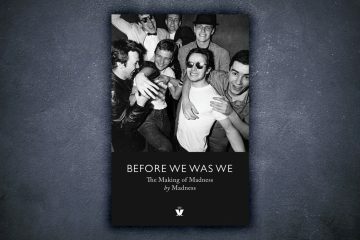 Those waiting for the box set to arrive this week would possibly have to wait that bit longer. Although The Box set was due for dispatch Monday (according to record store website), trackable orders were still saying “Pending”, so as such we advised you that deliveries could take a little longer. Whatever, we just knew that it was going to be well worth the wait, and suggested that you might as well smile rather than fret, because that bursting desire wouldn’t make it come any quicker. Meanwhile, talk of a single continued, with a remix of Forever Young apparently binned, and Dust Devil a likely contender. Also, perhaps in relation to a Madness film, Suggs was spotted filming on the pier at Southwold on March 11th. It’s was certainly a busy time for our favourite band! On to the articles, and we began by thanking Jamie over in the Madness official camp for getting us a whizbang incredible prize for the fans, and we had a great competition that would not only help Woody build up the donation box for his London Marathon charity, but it would also give you a chance at winning a pair of signed drumsticks from Woody Woods Woodgate himself. All you had to do was make a donation on his Just Giving Page. Tech news now, and this was the week that the Madness Central forum got themselves set up on Twitter with their very own account. This would link alongside their website, MySpace, Facebook and Yahoo presences. Finally, in festival news, the band had been confirmed as being part of the line-up for the forthcoming double festival Rock am Ring & Rock im Park in Germany, bringing their dates in the country to three after we’d recently announced the Berlin gig. 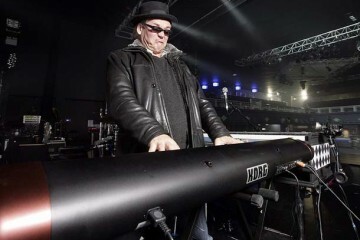 We started this issue off with a write-up from Chris Wardell, following his night out in Camden at the ‘London Ska Festival 3′, which took place at The Underworld. “Smoke Like A Fish and The Riffs stole the show, with two scorching sets which saw the 200 + crowd go bananas. King Django also played a cool set of ska, reggae and rap, which seemed to appeal to the youngsters in attendance”. Next-up was one Dan Fossard, who sent us a text, highlighting a Suggs related article that had recently cropped-up on Teletext. The article turned out to be quite a lengthy piece relating to Suggs’ latest series of Salvage Squad, and thankfully MIS subscriber Mr. G had saved us a mountain of time by kindly typing up the whole thing for us. What a star! 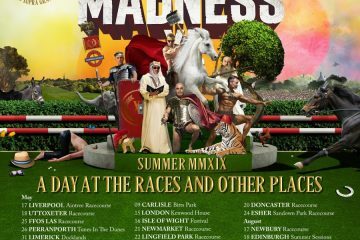 With the recent Madness Weekender at Butlins, Bognor Regis already becoming a drunken blur, we caught up with attendee, Gary Saunders on MSN, and asked if he’d be kind enough to know up a review of the event. Never the one to let us down, he was more than happy to oblige. The whole meet centred around the Eighties Weekends that Butlins often stage out of season, and whilst the drinks (in Gary’s words) “cost an arm and a leg”, it seemed as if all present had a fantastic time. Elsewhere, and we’re sure Chassmash.com were gearing up for a real hammering of their servers, following the uploading of a mass of video clips to the site. 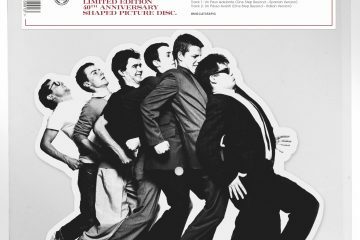 Ranging from footage of the 1979 Two Tone Tour, 1984’s South of Watford segment, to the band’s appearance on a 2002 episode of the Des and Mel Show, there was a real selection of footage through the years here. 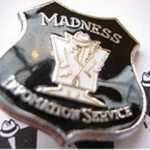 A CAMDEN Town pub became a “house of fun” on Saturday when scores of Madness devotees arrived for a fundraiser. 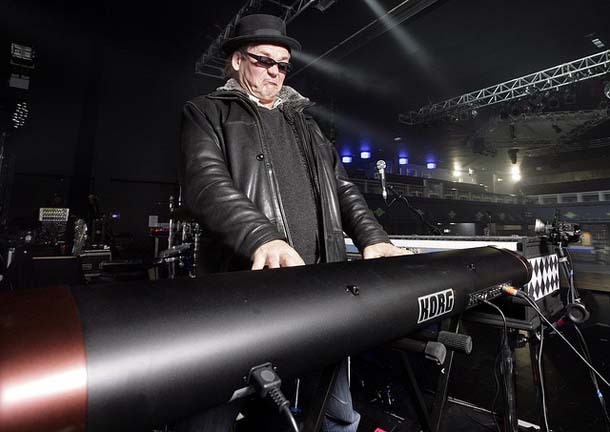 Members of Mad Chat, one of the band’s fan­clubs, organised a party at the Dublin Castle in Parkway – the legendary venue where Suggs and Co played when they were starting out. They gave landlady Peggy Conlon, whose family has run the pub for decades, a framed award in recognition of her support for the group. One fan raised more than £2,000 by having his beard shaved off at the event. Mad Chat has rais­ed £4,500 this year for Make A Wish Foundation. Our thanks to Kieron Murphy for the heads-up. “I finally finished the album I recorded with Rico Rodriguez just before he passed away four years ago! He was very poorly when we were recording, and not on full steam, so it took me a long time to individually check every note and tune some of it, but it was worth it. Its taken a lot of time as I moved to Spain just after and it took me a bit of time to set up the studio etc and get down to work. Plus a visit from Lee T probably set me back rather than helped!! It is called ‘Order of distinction’ which is the honour given to Jamaicans from the country for services to JA. Which Rico hasn’t received yet!! Lee is on it somewhere! I’ve been a bit more active lately, so I have a lot of things to finish, but this album turned out a bit better than we originally thought. You’ll recognise a few of the players from the ska orchestra as well in there, Bob Dowell and Chalky White feature a lot. Its been well received so far, Rodigan, Don Letts etc, and hopefully will be featured on Robert Elms show on BBC Radio London. Check out JA13 collective – Rico – Order of Distinction – Out now. Naturally, as soon as we hear anything further we’ll be sure to let you know in a future issue.